Treat yourself to a summery tan, whatever the season, with our instant self-tanner for your body. 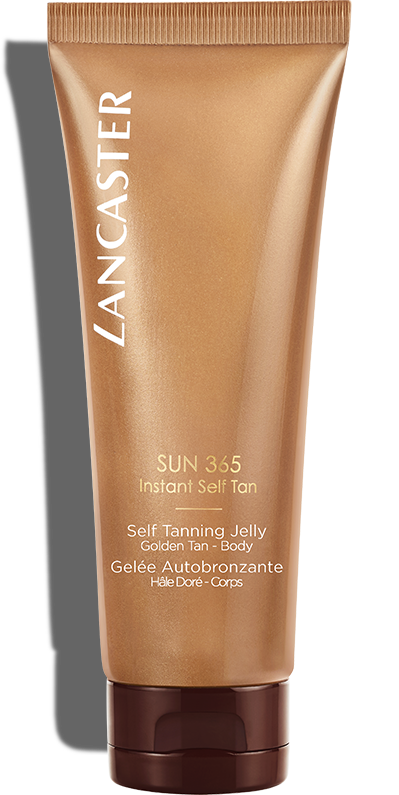 This refreshing jelly immediately illuminates, and in just a few hours builds an impeccable golden tan. Discreetly tinted for foolproof application and an instant natural glow. 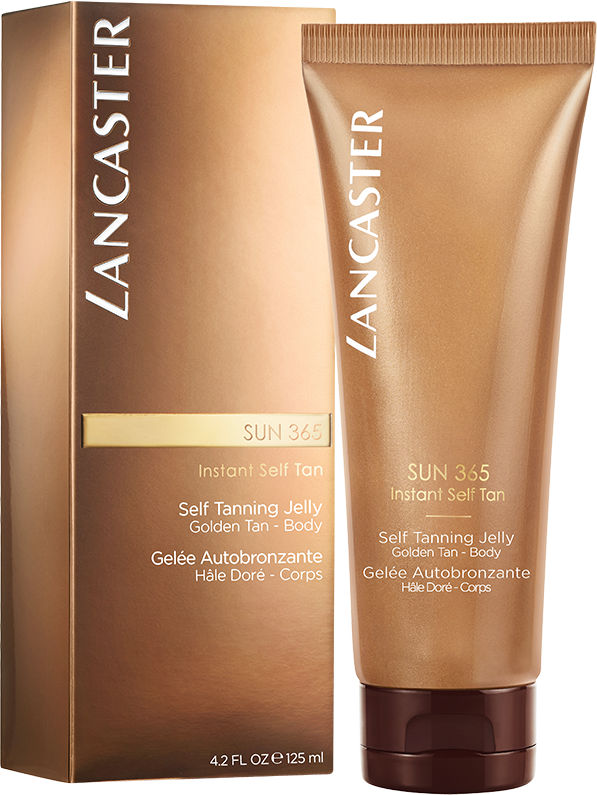 Lancaster's Self Tanning Jelly is specially developed for women who want immediate self-tanning results with an instant golden glow effect. **Consumer test on 54 women, after 2 weeks of use, % positive opinion. *Consumer test on 56 women, after 1st use, % positive opinion. Achieve an instant, natural-looking golden tan in just a few hours with our instant self-tanner for your body. Foolproof to apply, its fresh texture leaves skin feeling comfortable and beautiful. Apply evenly 2 or 3 times a week to clean, dry skin. Tan Adapt Color Technology: combines a natural origin self tanning agent with melanin to mimic your natural color. Instant Glow Complex: diffuses light, blurs imperfections and provides an instant natural-glow effect. Hydrating Complex: immediate and lasting hydration.